Your dog has been playing outside and you suddenly notice a reddish protrusion in the corner of his eye. A closer look and you see that it is some type of swelling. Could it be cherry eye in dogs? How can you tell? Eye issues in dogs are concerning. What if the problem is something serious that could lead to permanent damage or blindness? The best thing to do when you notice any trouble with your pet's eyes is to call your veterinarian. Without an examination, your vet won't be able to diagnose anything. However, they'll likely have you schedule an appointment to bring Fido in as soon as possible. When it comes to problems with the eyes, it's better to be safe than sorry. You may not even recognize cherry eye in dogs in the early stages. It is a common disorder of the third eyelid, or nictitating membrane. In laymen’s terms, your dog’s third eyelid is swollen, which is the reddish protrusion that you can see. The only way to treat cherry eye in dogs is with surgery, which I'll talk more about later in this article. Now you are worried and full of questions. One of the first thoughts on your mind is if this ailment is common to your dog’s breed. While there is some link to cherry eye being a hereditary condition, scientists are unclear about the role genetics play in the development of this condition. Though it can be common in these breeds, scientists are yet unsure of the exact role – if any – that genetics play in this condition. 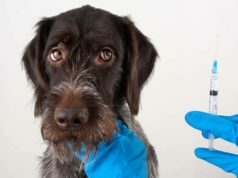 Many times when dogs come into a vet’s office they are already suffering from secondary issues, such as inflammation and infection, making it difficult to find the cause of the original malady. Scientists and veterinarians do not know the causes of cherry eye in dogs. What they do understand is that the strong genetic part of the equation involves a tendency to develop weak fibrous tissue connections that are related to the third eyelid. This can make for a very nasty looking bulge over the eye that appears bright red and swollen. Normally, these tear glands would be neatly tucked behind the eye. The glands known as the nictitating membrane, or NM, is responsible for 40-50% of tear production. It can appear large because the nictitating membrane actually contains many glands which only appear to be a single gland. In normal circumstances, these are the glands that would secrete tears in and around the cornea for lubrication. In cases of cherry eye, there is an unknown reason for lack of or weak anchoring to the internal globe which allows for the gland to slip and flip up causing the gland to appear round and reddened, hence the name cherry eye. Symptoms can also include drainage or a discharge from the eye area. This is due to the importance of the tear gland and its essential tear production for maintaining general eye health. Reduced tear production can be problematic later in life. Early treatment options include complete removal of the gland for cosmetic reasons, however this option often left animals predisposed to Keratoconjunctivitus sicca and other eye problems that would result in blindness late in life. Science has since improved the available options to remedy cherry eye. 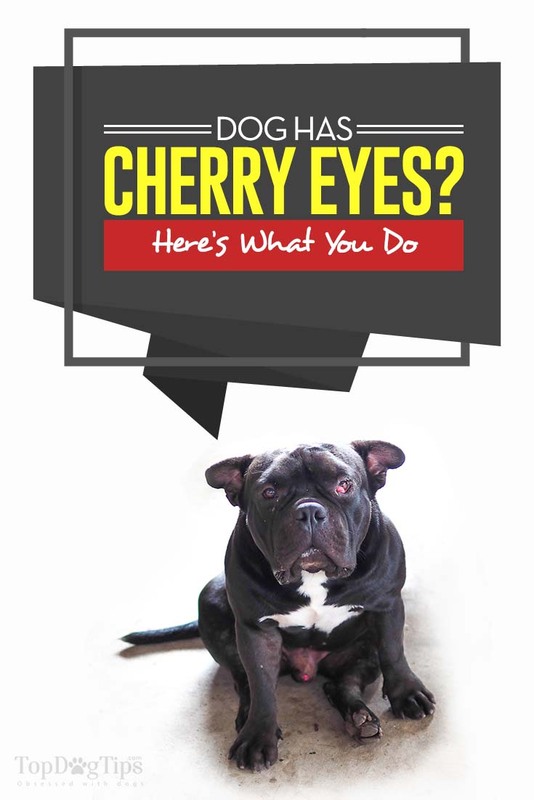 Cherry eye can happen in one or both eyes and is not contagious. Your dog can have cherry eye in one eye and years later have it again in the other eye. It has been known to occur in both eyes at the same time. Talk to your veterinarian about your concerns and take time to go over a variety of safe and current medical options that you have for your dog. What to Do About Cherry Eye in Dogs? The first thing that your vet will tell you is that your dog needs surgery. It is not life-threatening, but without treatment the exposed nictitating membrane or cherry eye will be at risk for trauma and secondary infections. This may inevitably lead to more complications and eye loss. Treatment with surgery can repair cherry eye in dogs, and it involves replacing the gland back inside the rim of the eye. While there are several ways that cherry eye surgery can be done it has been recommended that replacement procedures are the best options due to less complications involving reduced tear production and constant dry eyes. This method involves suturing the gland to the orbital rim. Some disadvantages of this technique include disruption of normal tear excretion and restricted mobility of the third eyelid. Science is developing new procedures which will allow this process without damage to the third eyelid. Also known as the envelope method, is preferred by some veterinarians. This procedure involves bringing up a layer of conjunctiva tissue around the prolapse, or gland, and suturing it closed. Posterior suturing is recommended over anterior suturing as it will lead to less complications, and no damage to the tear production process. There is some information available about homeopathic treatments, but even these will state that for the treatments to work, the condition must be caught very early. As an owner you must be aware and prepared that if a homeopathic treatment doesn’t work, your next option is one of the surgical solutions that your veterinarian has suggested. 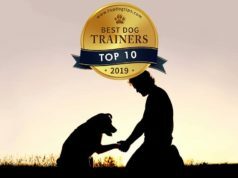 Now that you have a basic understanding of what is going on with your dog’s eye, you know that the gland may have simply come loose, and can be manipulated back into place. It is suggested as way to try to treat this at home, to start with a clean dampened cloth to help with moisture while working to massage the eye area. Calm your dog, belly rubs can help, when nearly asleep begin gently massaging the eye area. Use a downward diagonal-toward-snout massage (Cherry Eye, 2017) and you may feel the extended mass almost slide back into place. If this doesn’t happen, keep calm and call your veterinarian and make an appointment for your dog. The next step will be to decide which type of surgery is best for your dog’s eye situation. The surgery itself is considered safe and a common general procedure. Be sure to choose an eye specialist that has experience and you will be happy with the outcome of the surgery for your dog. After surgery, your dog will need continued treatment for several weeks. Your veterinarian will prescribe an antibiotic eye ointment three times a day (Cherry Eye, 2017). Your dog may also benefit from some temporary steroidal eye drops. The rate of success for these types of surgeries are very high as most techniques have a failure rate of 0-4%. In these failed cases, a duplicate surgery is generally successful. 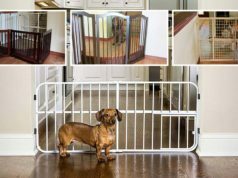 After surgery and recovery your dog will continue to live a long and happy life.